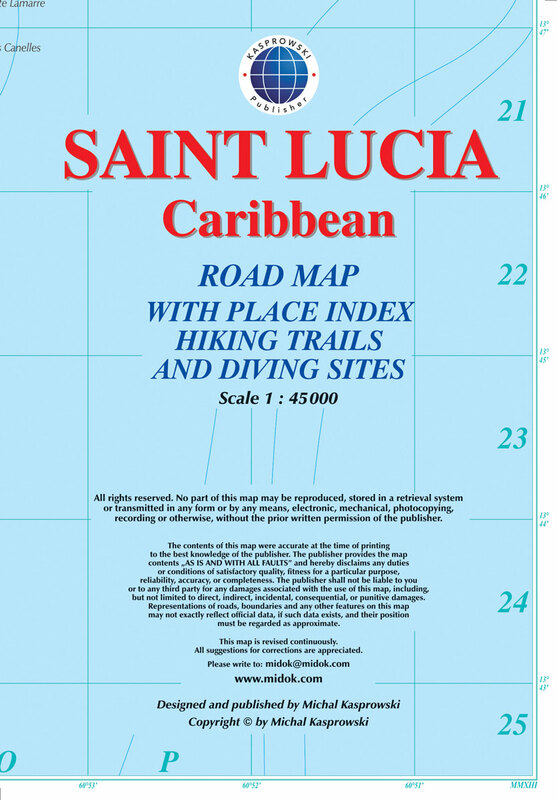 Saint Lucia at 1:45,000 on an indexed map from the Caribbean-based cartographer Michal Kasprowski listing 33 diving sites, plus street plans of Castries, Soufrière, Gros Islet and Vieux Fort. Topography is shown by altitude colouring and contours at 50m intervals. 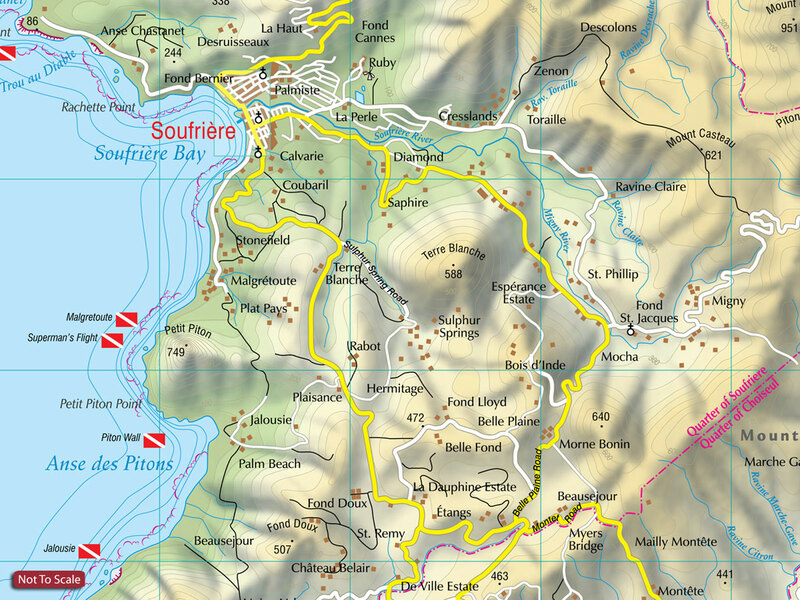 Along the coast coral reefs are marked and diving sites are highlighted. Road network includes cart tracks; no driving distances are marked. Latitude and longitude lines are drawn at 1’ intervals. The index is next to the map. 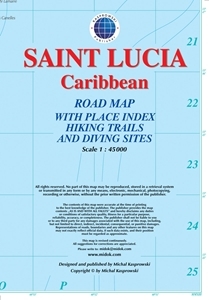 The map includes street plans of Castries, Soufrière, Gros Islet and Vieux Fort, an administrative map of the island, plus a small map of the Caribbean showing the location of St. Lucia.